LET’S GET THE CHAMPAGNE!!! YEAH!! Okay, so I’m a little under age. Whatever. That one was posted on the fourth of July, nearly 3 years ago!! Since then, oh my, I’ve learned so much. I’ve learned annealing, Mohs hardness, hardening, tempering, grinding, forging, specific gravity testing, gemstone identification, TONS of history, casting, soldering, wax carving, chemistry, orbitals and atoms. And since then, I’ve acquired quite a lot of equipment, a petal-controlled dremel tool, an acetylene torch, lots of little and large pliers (surprisingly, my most used tools), anvil (from a sledgehammer head), hammer, and, finally, a forge, which I finished a week or so ago. This blog has helped me quite a lot, actually! When I learn something, writing it on this blog makes me see it in my own words, and helps me realize whether I understand a particular part or not. I hope its provided you a little interest!! Alright, I’ve decided on a giveaway, so keep reading. Before we get to that though, I would like to thank my Dad, Jonathan Harris, for helping me with this blog in the past three years. I’m not always willing to write here, but he makes sure I do, and now, 200 posts later, I’m glad he does. Also, I’m not a computer person, so its thanks to him that I even figured out where the publish button is. Thank you so much Dad, I love you. 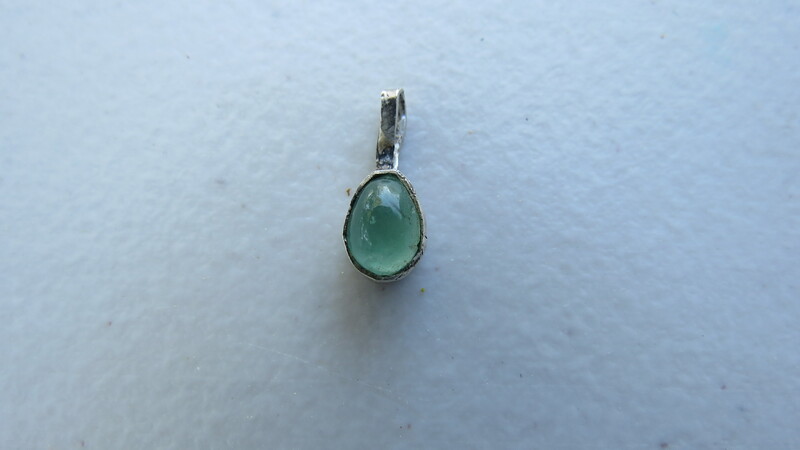 This small pendant is sterling silver, polished bright, so as to bounce light up from underneath the stone. 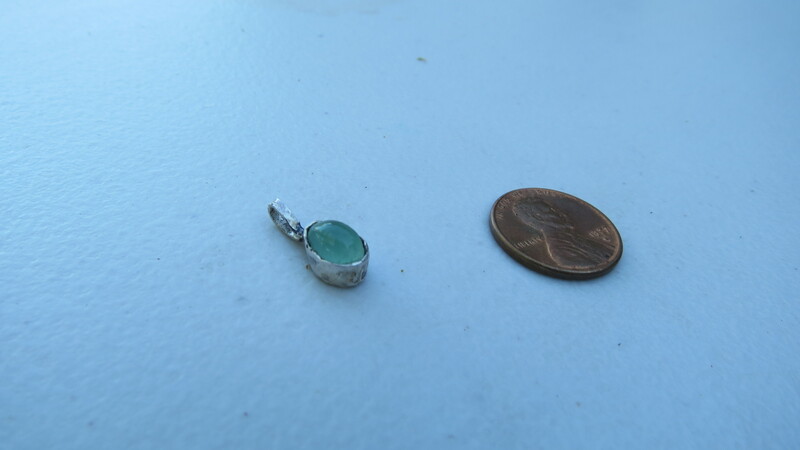 The stone is Emerald, which I myself cut in a teardrop cabochon. A sparkling mermaid’s teardrop with a silver lining. 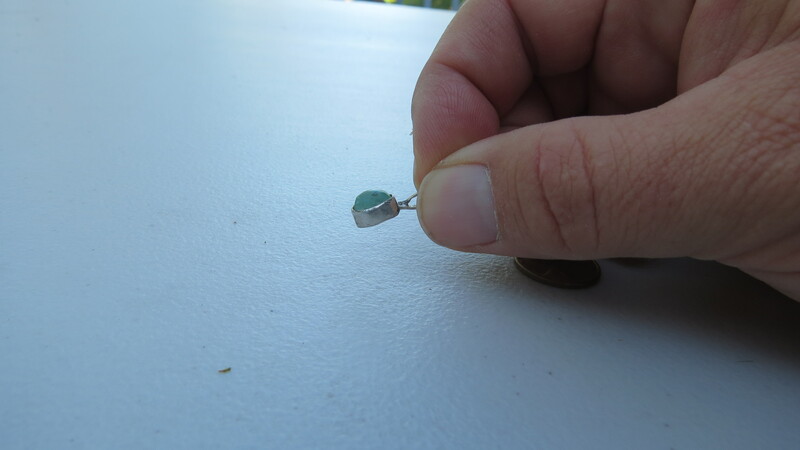 The stone is surprisingly clear for an Emerald, and so worth a small amount of money. Keep in mind that the pendant is small, and it may not fit over your chain. Emerald is the birthstone of May. The luscious, entrancing tone of the Emerald would best fit the personality of someone who is a deep thinker, someone who tries to be alone, yet always attracts people and becomes friends with them, someone who is compassionate yet quiet. Wear it with a thin, delicate chain, over a simple, white dress. Emerald contrasts beautifully against white, and too extravagant of a dress will keep the Emerald hidden from view. Of course, this pendant is not free. First person to comment with all the correct answers to the questions gets the pendant. My parents own a home business, so I know how to send it out. No fear, your address will not be given out. C: There is more of that particular mineral in a given specimen than any other mineral present. C: None of the above. #3: What known element has the best electrical conductivity? #4: What is the birthstone of March? #5: Last question!! What is the hardness of Topaz? 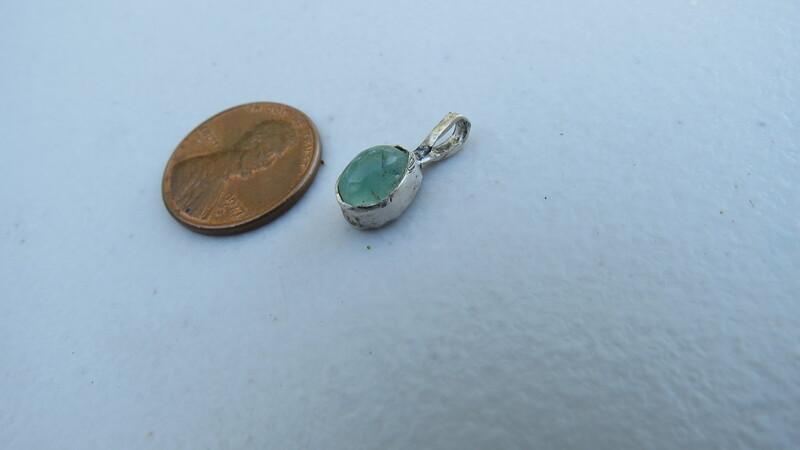 First person to comment or E-mail me (Caleb@stonesoftheearth.com) with all the correct answers gets the Emerald and Silver pendant!! This entry was posted in Uncategorized on June 5, 2013 by Captain Belaq. Congratulations on your 200th posting!!! Came here from a link your mom posted on facebook. Looks like an interesting blog. I’ll have to take a look around! These are complete guesses – I don’t have the knowledge or expertise you do!! BTW, I gave you my spam account cuz’ my parents don’t want me giving out my real one. Don’t worry; I cannot see your account anyway. The site just needs it so it can notify you via email if someone replies to you like I am. You got the first two correct! Good job! First of all, your little pendant is stunning, my son’s birthstone. And second, well done! What an accomplishment, 200 posts. Good for you! Again, well done, and I am finding many of your posts quite fascinating and very informative. hope I get them right., That is amazing craftmenship on your pendant! You have a very bright future. As we are related, I recuse myself from the contest. Congratulations though on the 200th edition of your blog as well as the beautiful design and workmanship of your pendant. Good job! Everyone else, please, subscribe or at least read some of the other posts!! I try to use only photos that are directly relevant to the subject at hand. I will try to include more though, thank you.